ANNAPOLIS, Md. (Reuters) – A Maryland man charged with multiple murders was denied bail on Friday, a day after police say he rampaged through a newsroom in Annapolis with a shotgun and killed five people in one of the deadliest attacks on journalists in U.S. history. 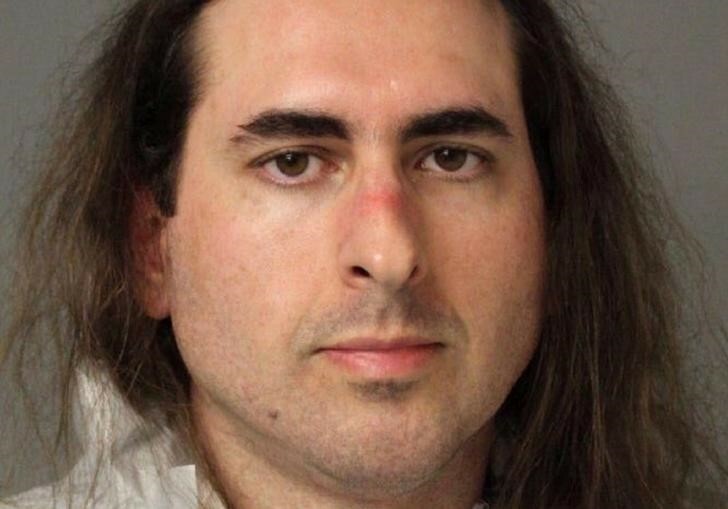 A judge ordered Jarrod Ramos, 38, from Laurel, 25 miles (40 km) west of Annapolis, held without bond on five counts of first degree murder during a hearing at Anne Arundel County criminal court. Ramos, who appeared by video link from a detention facility, did not speak during the hearing. Ramos had a longstanding grudge against the newspaper and unsuccessfully sued it for defamation in 2012 over an article that reported how he harassed a former high school classmate, court records showed. He is accused of entering the Capital Gazette office on Thursday afternoon and opening fire through a glass door, hunting for victims and spraying the newsroom with gunfire as reporters hid under their desks and begged for help on social media, police and witnesses said. Ramos made an initial appearance before a court commissioner at about 1:30 a.m. local time, was advised of his rights and was asked if he wanted a public defender, and responded that he refused to cooperate, court officials said. Anne Arundel County Police Chief Timothy Altomare told reporters that Ramos was not cooperating with investigators either, and that he was identified using facial-recognition technology. Altomare said evidence found at the suspect’s home showed he had planned the attack, and that the pump-action 12 gauge shotgun used by the shooter was legally purchased. Rob Hiaasen, 59, Wendi Winters, 65, Rebecca Smith, 34, Gerald Fischman, 61, and John McNamara were shot and killed. All were journalists except for Smith who was a sales assistant, police said. Hiaasen was the brother of best-selling author Carl Hiaasen. The Capital newspaper, part of the Gazette group, published an edition on Friday with photographs of each of the victims and a headline “5 shot dead at The Capital” on its front page. The newspaper’s editors left the editorial page blank with a note saying that they were speechless. Photographs that were widely shared on social media showed newspaper staffers working on laptops in a parking garage to produce Friday’s edition while they waited to learn the fate of colleagues after the shooting. “These guys, they don’t make a lot of money. They do journalism because they love what they do. And they got a newspaper out today,” Buckley told Fox News. A vigil for the victims was planned for 8:00 p.m. EDT on Friday, Annapolis city officials said on Twitter. Maryland Governor Larry Hogan ordered state flags to be lowered to half-staff. Ramos brought a defamation lawsuit in 2012 against Eric Hartley, a former staff writer and columnist with Capital Gazette, and Thomas Marquardt, then its editor and publisher, a court filing showed. Neither Hartley nor Marquardt is still employed by the paper or were at its office on Thursday. An article by Hartley had contended that Ramos had harassed a woman on Facebook (NASDAQ:) and that he had pleaded guilty to criminal harassment, according to a legal document. The court agreed the article was accurate and based on public records, the document showed. In 2015 Maryland’s second-highest court upheld the ruling, rejecting Ramos’s suit. According to a WBAL-TV reporter who said she spoke with the woman who was harassed, Ramos became “fixated” with her for no apparent reason, causing her to move three times, change her name, and sleep with a gun. Phil Davis, a Capital Gazette crime reporter, recounted how he was hiding under his desk along with other newspaper employees when the shooter stopped firing, the Capital Gazette reported on its website. “As much as I’m going to try to articulate how traumatizing it is to be hiding under your desk, you don’t know until you’re there and you feel helpless,” Davis said. Authorities responded to the scene within a minute of the shooting, and Ramos was arrested while also hiding under a desk with the shotgun on the floor nearby, police said. Capital Gazette runs several newspapers out of its Annapolis office. They include one of the oldest newspapers in the United States, The Gazette, which traces its origins back to 1727.